This is a basic beef stew for the slow cooker made with beef broth, potatoes and carrots, onions, and a variety of seasonings. 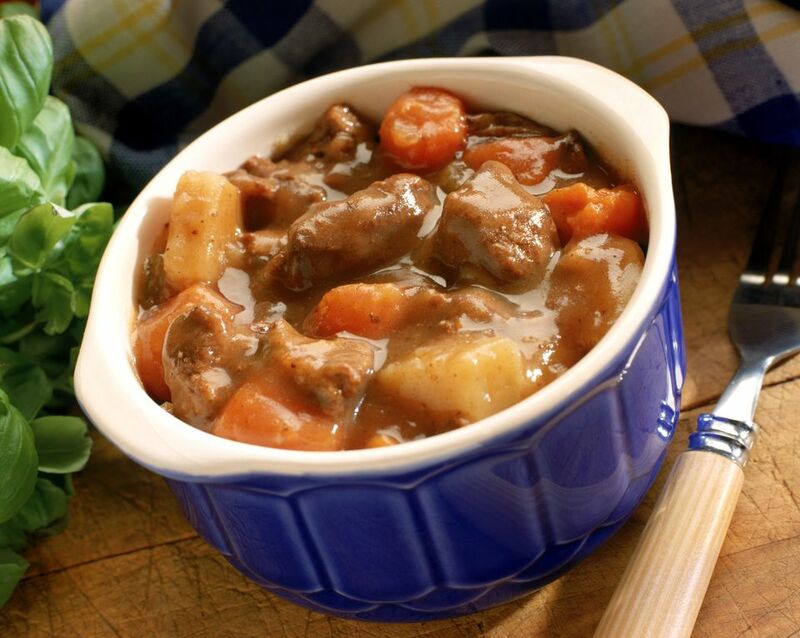 This is a great fall or winter stew for any night of the week. Just set the crock pot and forget it! If you have time, brown the beef in a skillet in a small amount of oil before you add it to the crockpot. Browning enhances the flavor and gives the beef color. Place the halved potatoes, onions, and baby carrots in the slow cooker. Add bell pepper and beef. In a small bowl combine the beef broth, oregano, paprika, parsley, Worcestershire sauce, salt, and pepper. Pour the mixture over meat and vegetables. Cover and cook the stew on low for 8 to 10 hours. Turn pot on high. In a small bowl dissolve the cornstarch in the water; stir into cooked stew mixture. Cover and continue cooking the stew on high 15 to 20 mins. or until thickened, stirring occasionally.